This Monday we are introducing you to another of CBB’s interns—Tony Bertolini. 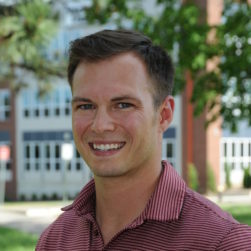 Tony is studying Civil Engineering in the UMSL/WUSTL Joint Engineering Program. Continue reading to learn more about Tony! I enjoy fitness, cars, vacations and motorcycles. Summer. I enjoy going outside. The culture, passion and drive of all my other coworkers helps motivate me to be a better engineer.